Is it time for your website to get a “fresh coat of paint?” Maybe it’s time for a complete overhaul? Maybe the marketing copy needs to be improved? In many cases the first impression a bride or groom gets about your company is going to be from your website. That first look is really a make-it-or-break-it moment. Updating your website isn’t an expense, it’s an investment, one that leads to more inquiries, better quality customers, and increased revenue. The use of testimonials, reviews, awards, accreditations, and membership in professional associations, also known as “social proof,” is one of the most powerful ways to turn more of the brides and grooms who visit your website into inquiries and then sales. Use them liberally throughout your website. Also use social proof at your social media touchpoints (Facebook, Instagram) with links back to your website! Surprisingly, 95% of the websites I visit have a weak, if not missing, call-to-action (CTA). I should easily find a call-to-action throughout your website. Don’t make the brides and grooms who are visiting your website have to think for a moment about what to do next when they get to the bottom of a page. A highly visible call-to-action with a link to your contact form will convert more of the couples visiting your website into online inquiries. Calls-to-action can be created in text, using “buttons” (like the one below), or high-impact graphics. Use a “takeaway” at your website, something visitors can easily find and download. Your takeaway should clearly communicate your expertise as well as your desire to help couples with their wedding planning. Takeaways are a proven Internet marketing technique that will convert more of your website visitors into sales. “Chris, the takeaway you suggested I create is already working (less than two weeks!). I had an inquiry and followed up with our take away. Well she booked me today after shopping around and she mentioned receiving our music suggestions “takeaway” saying “it sure looks like you know your stuff.” Thank you!” – Wedding DJ Joe DeWolf, in Bellingham Massachusetts. A post-inquiry landing page is a page that someone is redirected to AFTER filling out the inquiry form on your website. Post-inquiry landing pages will help you improve conversion. In other words, turn more of the couples who fill out your inquiry form into phone calls, appointments, and ultimately sales. Post-inquiry landing pages IMMEDIATELY start the sales process off in the right direction and if you use them correctly I guarantee they will give your company competitive advantage and help you book more weddings. Today it is very important for you to have secured end-to-end encrypted website hosting, the type with https:// security and certification. Without it, your website is going to show up in most Internet browsers with an “unsecure” or “unsafe” warning. The last thing you want to leave as a first impression for a couple visiting your website is a warning message – they will just leave your website. Additionally, some browsers or corporate firewalls may entirely block access to your website (not that brides and grooms are doing wedding planning while at work, right?). Google also likes to see a secured https:// website and without it your rankings in their search engine results may be adversely impacted. The key to successfully and effectively marketing to brides online is using BEST PRACTICES. Get more expert advice like what you’re reading here delivered for FREE to your inbox every Monday morning. 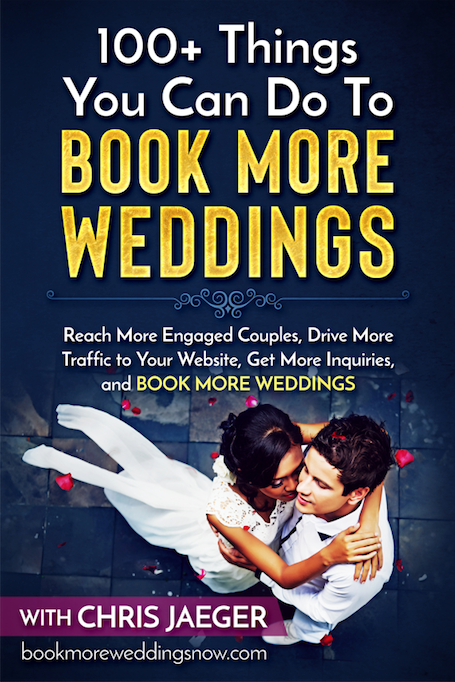 Subscribe to my free Book More Weddings newsletter today! 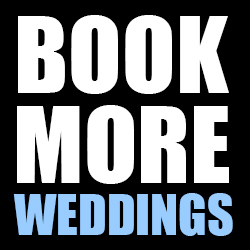 “I look forward to each issue of the Book More Weddings Newsletter. I learn something new in each issue.” – Tammy Johns, Tammy Johns Weddings & Special Events. 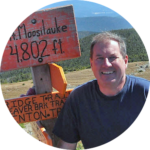 “The Book More Weddings Newsletter has helped me fine-tune my online marketing and sales strategy. Anyone in the wedding industry who wants to book more weddings should get this newsletter.” – Mark Cherney, Music Man Event Professionals.